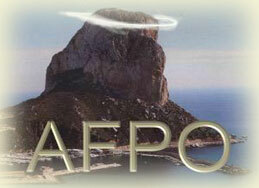 Founded in Calpe in the 1980s, AFPO was the first organisation of its kind in Spain. It is a non-profit-making, non-political organisation, run by an annually elected voluntary committee, with no aim other than to look after the interests of its members. It is a legal, fully registered body which holds three general meetings every year, in order to allow its members to decide the agenda which is to be pursued by the committee. These meetings also allow members to bring up in public matters of concern to them—often with Calpe town councillors in attendance. You do not need to own property to become a member; you just need to have an interest in Calpe. Once you are a member, you will be able to call on the help of committee members with the problems that we all experience in our lives out here. We conduct the business of the association in English, but we welcome members of all nationalities. We particularly welcome members who can speak some Spanish, since we want to maintain rapport with our hosts. Separate meetings are held with representatives of the ayuntamiento (Town Hall) and with politicians of all parties, in order to make public the views of our members. We also maintain a liaison with other groups whose aims include the well-being of Calpe residents. We also produce a magazine, in order to keep our members up to date with items of interest to Calpinos, and we publish a section of members’ letters on subjects of concern. We are here to help you with your everyday problems. With the accumulated experience of the our committee members, we are able to advise on, and help with, most problems.